The 2016 AVN Coordinators Meeting was held in Westin Resort -Langkawi, Malaysia from the 29 to 30th September. 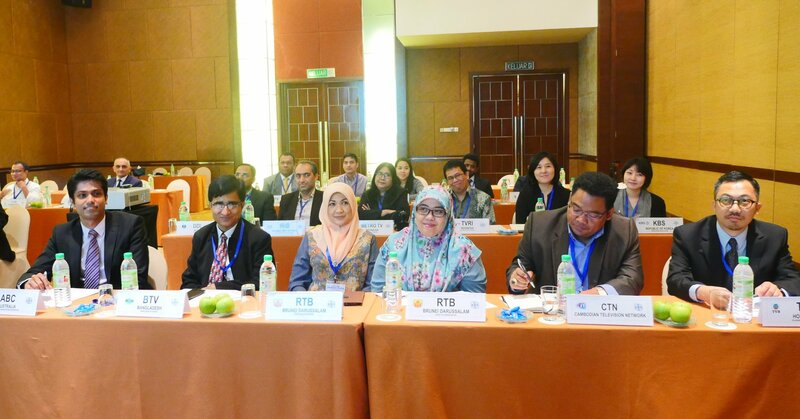 The 2-day long meeting was attended by 32 delegates from 30 AVN members. Outside the membership, EBU and ASBU also participated. Starting off with AVN Activity Report- some of the main events during the past year were highlighted. Mr Chae Il presented information on the current affairs as well as future plans of expanding training and increasing the number of news items exchanged. The Project Officer, Ms Joanne shared the statistic on news exchange for the past one year. This was followed by Ms Nisha, the News Coordinator on content management and issues relating with daily AVN operation. Overall, the meeting was told that some progress have been made in improving the AVN operations in terms of increasing the number of members, creating integrated communication tool among coordinators, quality and increasing the number of news items exchanged. The meeting proceeded with Technical Session –a presentation by Mr. Sean Park from Brightcove. Mr. Sean Park shared some information on Brightcove and the improvement taken to enhance the platform. Next came the Partners Session –ABU’s sister Union –EBU (Europe Broadcasting Union) and Arab State Broadcasting Union (ASBU). Representing EBU was Mr. Ray Colgan, and Mr Hafid Zinneddine for ASBU. The meeting saw how EBU and ASBU work together with ABU to exchange news daily. After lunch break, meeting proceeded with a short introduction by TVRI-Indonesia, sharing their interest in joining AVN. Then continuing onto AVN member's sharing session, which saw presentations from ABC Australia, MCOT Thailand, NHK Japan, NTV Nepal and TDM Macau. Members shared how they are currently utilizing AVN news, and their future plans regarding AVN activities. Following that, a suggestion was put forward by Ms Joanne Kim on Members Communication Platform with attempt to increase effective communication between members. The session did open question and answering session and received a good respond from the floor. Wrapping up the meeting, the Chairperson Mr. Joao Pinto thanked all the delegates for their participants and hope it would be a fruitful meeting to everyone in order to improve the cooperation in all levels with Asiavision. 2nd day of the meeting highlighted on the team-building excursion which has created a good relations and a better understanding among the coordinator and Asiavision.